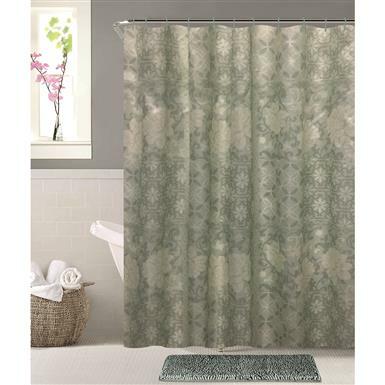 Dress up your bathroom with this Bria Patch Shower Curtain/Bath Mat set from Beatrice Home Fashions. Set includes an elegantly designed Shower Curtain, a chenille noodle Bath Mat, and 12 matching plastic shower hooks. Shower Curtain Dimensions: 70" x 72"
Mat Dimensions: 17" x 24"